I tried to find possible reasons like the cache problem,browsers or wrong login IP.I couldn’t find the exact reason for this trouble and decided to chat (Read how to get better chat support) with my hosting partner.I was requested to delete all cache from browsers setting to see any improvement but this method didn’t fix the problem.Finally, they told me to check IP,whether I have dynamic IP or static IP.In case of dynamic IP,your IP changes very frequently.Static IP does not change and provide same unique IP address. 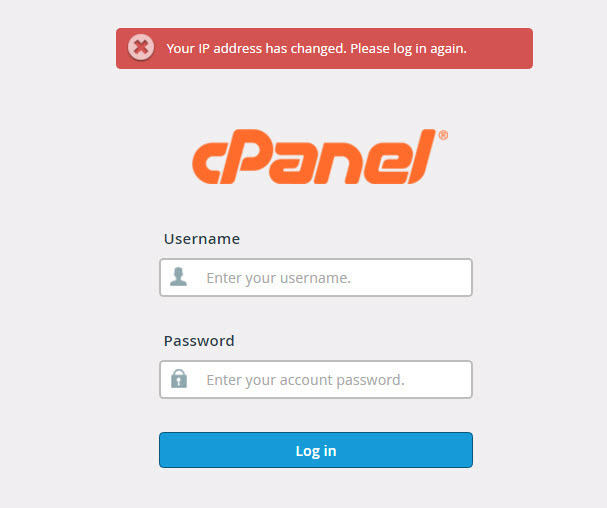 Due to the dynamic IP address, your hosting server does not let you access cpanel.It can be fixed with static IP.Contact your internet provider to get static IP. This method works for me,I can now access cpanel on a regular basis without any issue.However, you may see the blank page after login which indicates inodes limits exceeded.